Towards the middle of the 1990s impatience began to grow in Odense. The bicentenary of the town’s famous son, fairy tale writer, Hans Christian Andersen, would come within a few years, and the bicentenary celebrations had to be planned well in advance. Then town councilman, Benny Nybo, was among those who expected a lot of things to happen in the coming years, and who at the same time thought that now was the golden opportunity for a worldwide launch of Hans Christian Andersen and for making the promising ­vision of putting the town of Odense on the world map a ­reality. Of course, he was not the only one who counted the years until 2005, but for all his energy and enthusiasm for Andersen he was frustrated by the vague and reluctant signals he generally received when approaching a variety of ­institutions and individuals in Odense dealing with Hans Christian Andersen, either in local politics or in the ­field of culture promotion. He feared a situation with a lot of non-committal declarations of good will and with conflicting interests of the different parties involved that would lead them to standing in each other’s way and to nothing being done. Instead of ­waiting for someone to take charge, Benny Nybo himself took a decisive initiative by approaching architect Kristian Isager, well known in Odense for his involvement in many exciting local projects. Their partnership was favoured with extraordinary luck, as one of the employees at Isager’s ­drawing office was Susanne Wiese Kristensen, a woman with a unique talent for organizing, was neither intimidated by Nybo and Isager, nor of the task of mobilizing the city of Odense to celebrate the Hans Christian Andersen bicentenary in 2005 on the largest scale possible. This seminal trio had to gain strength by attracting more collaborators, including both persons with a talent for organizing and fiery souls. They approached Niels Jørgen Langkilde, information manager of TV2, lawyer Jan Moosmand and enterprising bookseller Børge Grønne. Soon this circle was known in Odense as the „self-appointed committee“. The name was quite appropriate, as neither the Hans Chris­tian Andersen Museum, nor the university or local authorities thought that time had come to begin a formalized teamwork, which meant that the „self-appointed committee“ had to fend for itself. When viewing things in hindsight, this ­situation actually turned out to have lucky consequences. General attention on how the city of Odense devoted its time to Hans Christian Andersen was heightened through this committee, and on the other hand its activities led to a initiative that linked the city and the poet in a new and binding manner, i.e. to the establishment of an award to be presented to persons or organizations in recognition of outstanding achievements in the promotion of the poet’s work and thus, ­indirectly, in recognition of their contribution towards heightening the city of Odense’s international reputation. Disregarding the lack of official recognition, others were so pleased with the committee’s initiative that they offered their sponsorship of the first projects launched by it. Even though the new Hans Christian Andersen Award was and remains, not a monetary but an honorary award, establishing such an award and the presentation of it were not to be had for free. A small award statuette was commissioned from the sculptor Jens Galschiøt, official diplomas had to be designed, and if there was to be a award ceremony with some dignity, expensive festivity was mandatory, too. The committee, therefore, was glad to receive official donations from the Ministry of Culture, the then County of Funen and a number of private sponsors, among them the Albani Breweries, OAB-Tryk printing company, Radisson Blu H.C. Andersen Hotel, Nørgård Mikkelsen and the leading local newspaper, Fyens Stiftstidende. The Award Committee wants to express its gratitude to those sponsors for their support in the first years of the committee’s existence. Ever since the beginning, these sponsors have helped us financially or allowed us handsome discounts whenever we had difficulties. We realize that ­without their continuous support in the first difficult years, ­we and the initiatives we have launched would not have been possible. The municipality of Odense supported our ­arrange­ments from the very beginning, thus establishing a continuous link between the city of Odense and the Hans Christian Andersen Award. Establishing such a award was the committee’s first great ambition. Since the beginning, we have continuously received substantial donations from the local authorities, and a very good and positive cooperation with them has developed concerning the arrangement of the annual award ceremonies. Around the end of the year 1995 the efforts of the committee had been so successful that it dared to begin planning the first award ceremony. The first award winners weren’t diffi­cult to nominate. As an author, vicar Johannes Møllehave had for over a generation published a variety of shrewd and inspiring interpretations of Hans Christian Andersen and a number of other books and essays on the poet, including the wonderful book, H.C. Andersens salt (1985). 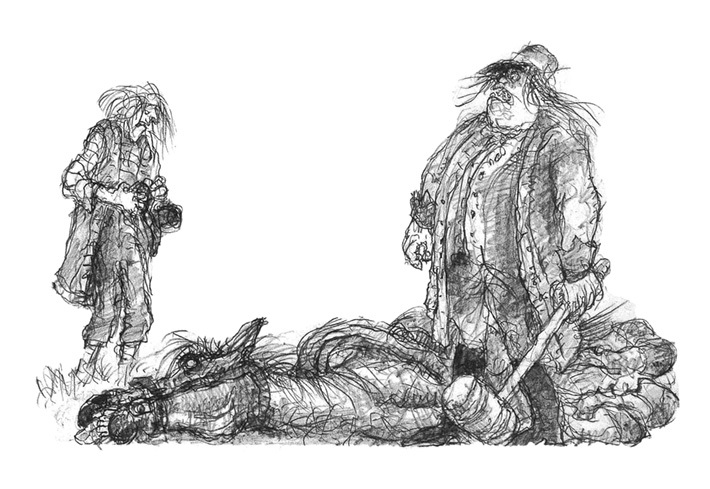 If any Dane ­deserved appreciation of his occupation with Andersen in 1996, Møllehave certainly did. At the same time, we already from the beginning of 1996 thought it an obvious idea to present an award in another field, to which we have paid much attention ever since: promotion of and dissemination of information on Hans Christian Andersen. We therefore considered it more than obvious to present an award to the new Multi Media Hans Christian Andersen CD-ROM, which was a result of the cooperation between the Multimedia Centre of the Ministry of Education, the UNI-C, the local education authorities of Odense and the Hans Christian ­Andersen Museum. The basic idea behind the project was the conviction that the then new CD-ROM media was an ideal means of targeting new groups, not least among them school children. It also seemed quite natural to choose Hans Christian ­Andersen’s birthday as the day on which to present the award for the first time, the more so, due to the amazing lack of other events celebrating the birthday on the 2nd of April. There was hardly any competition for attention at all. The ­Andersen Museum had a small event in connection with the traditional award of a small bursary, the „Hans Christian Andersen Bursary to a studious schoolboy from the Odense Poor School“, and the Hans Christian Andersen Parade ­hosted a birthday party in the Concert Hall. But apart from that, there was no official celebration of the poet’s birthday in Odense. This may be the reason why the award ceremony was, in spite of the modest arrangement, not only a great ­occasion for everybody participating in it, but was able to arouse much public attention. The success was so great that, without any hesitation, the committee decided that the the award should be presented for the second time the following year, in 1997. This was in keeping with the very idea and the ambition of the committee of securing annually returning celebrations of Hans ­Christian Andersen and his importance in the years leading up to his bicentenary. However, the committee was still officially not a part of Odense’s understanding of Hans Christian Andersen. For this reason, it was not then a matter of course that the award ceremony should take place in Odense as the poet’s town of birth. The ceremony taking place in Odense only became ­something taken for granted in the following years. Count Michael Ahlefeldt had become a member of the committee, and he suggested to host the next award ceremony at ­Egeskov, his beautiful Mid-Funen Renaissance castle. Consequently, the setting of the 1997 award ceremony was the ­finest imaginable. There actually was a link between Hans Christian Andersen and the castle, as he had been invited as a guest there in 1842. The next year the committee accepted the kind invitation of Nyborg Castle to hold the award ceremony there, but in 1999 the award ceremony was back at Egeskov. From the year 2000 onwards all award ceremonies have taken place in Odense. At that time an official agreement was made between the committee and the municipality of Odense. The agreement established joint efforts to ­secure the celebration of Hans Christian Andersen’s birthday, which from now on took place in a close cooperation between the relevant institutions and organizations, including, among others, the Andersen Museum, the annual „Children’s Birthday Party“ sponsored by the local authorities and taking place in the Concert Hall, and the Fyrtøjet Children’s House of Culture. From 2001, the agreement also included the ­activities under the auspices of the newly established „HCA 2005“ organization. As a conse­quence of this agreement, a number of different collaborators joined forces in a variety of events. The good partnership between the Award Committee and the local authorities of Odense remains the red thread of all these activities. This is very fortunate, as it is the only way in which it can be secured that celebrations continue to take place on a broad scale in Odense on the 2nd of April in commemoration of the very man who, in a most outstanding and actually quite ­unbelievable way, has made the name of Odense known all over the world. The Award Committee has committed itself to calling the attention to the activities of the many institutions and the very, very many men and women, who, each in their own way, contribute towards keeping Hans Christian Andersen’s art alive, and to bringing them to Odense in order that we may pay well-deserved tributes to them. 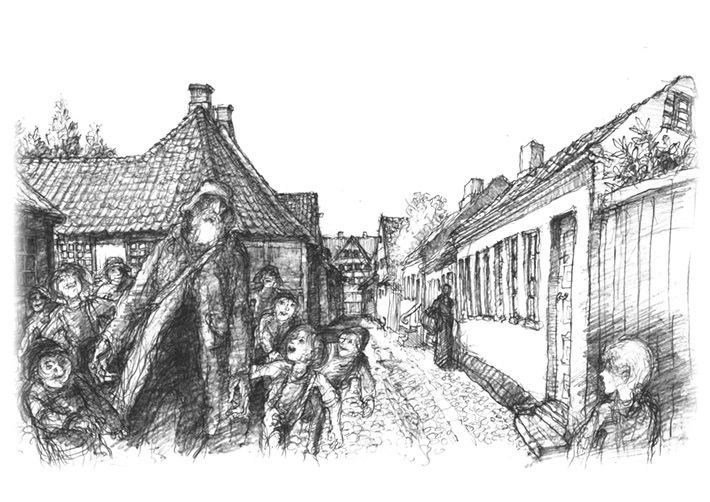 In this way an exchange and a living connection are created between the poet’s global ambassadors and his grateful town of birth; Odense’s feeling of gratitude both applies to Hans Christian Andersen himself and to the effects that his art, his person and his life have had on millions of people all over the world.